It’s inevitable, some baked cakes will never reach their intended recipients. 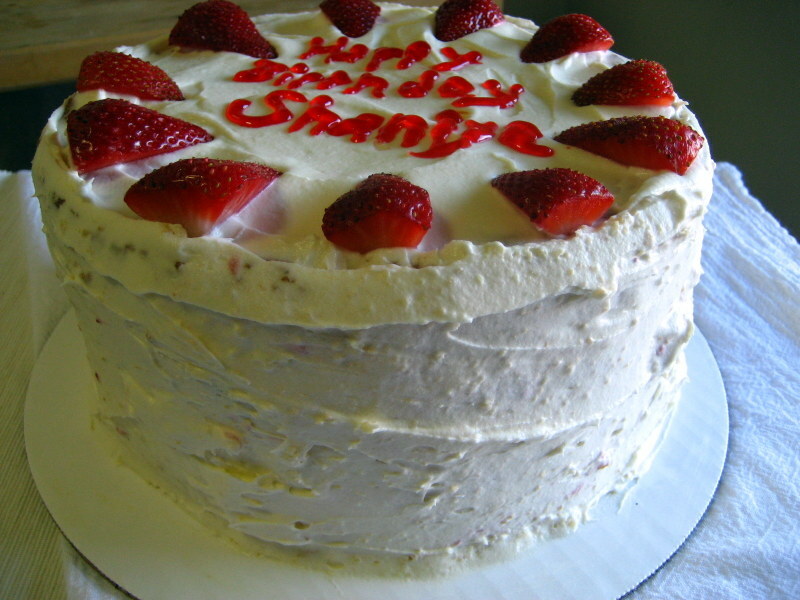 I have to say it was one of the best tasting cakes I ever had or made! 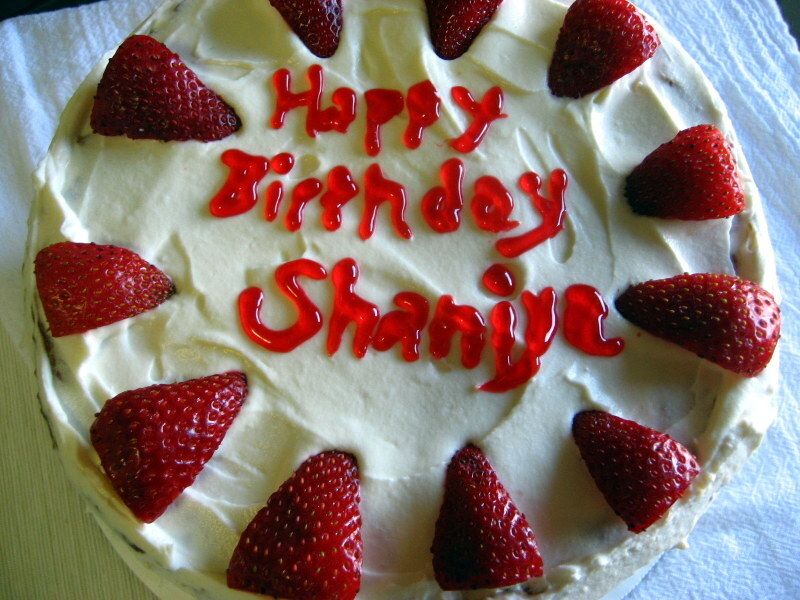 This Strawberry Cream cake was intended for my grand-daughter, Shaniya. Although she never actually got this cake due to unforeseen issues, I thought about her during the entire baking and tasting experiences. And funny, would I have actually gotten a taste of it if I had delivered it? I bake cakes all the time and more often than not, the result is fantastic! So I resign myself to never tasting the cakes I give away since I know I can always make another. I put so much time, effort and love into this cake during the preparation and I’m certain she felt the results. 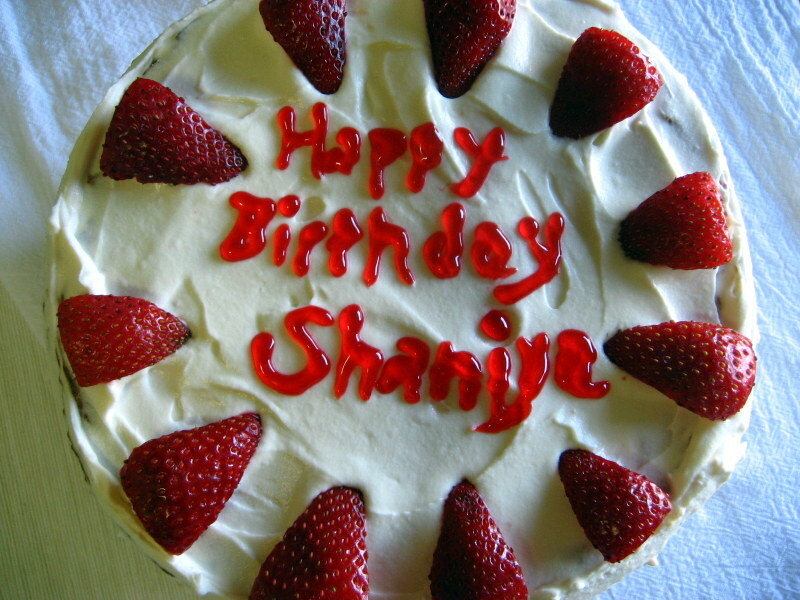 Don’t worry, Shaniya, your second-take cake is in the works! Process: cream butter and sugar together. Add eggs one at a time mixing well after each addition. Add vanilla, almond extract. In a separate bowl, mix flour, baking powder and salt. Add the flour mixture to the creamed butter and sugar alternating with the milk. Do not over mix. Pour into two prepared 8” round cake pans. Bake at 350 degrees F for about 40 minutes or when inserted toothpick comes out clean. After cooling, slice each layer evenly to create four layers. Process: mix first four ingredients until creamy then FOLD in the whipped cream. I was asked to make this cake and what a pleasure it was to make! I used one and a half of the butter cake recipe! Wow, a lots ‘a butta’!! 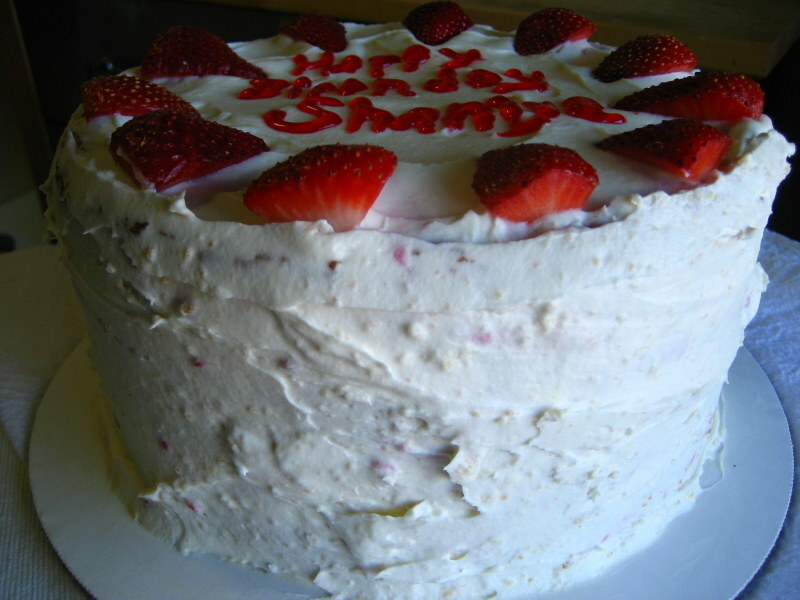 I initially made a simple vanilla butter cream frosting (my first) but did not like the flavor. I thought perhaps I could lighten the flavor a bit by adding freshly whipped cream. The science project failed. Something about combining butter with air-whipped cream… Requires further investigation. I recently practiced making cannoli cream, just to practice because I love the flavor. I loved the flavor so much I thought perhaps I could use it as a frosting. No, too runny (the ricotta contains too much water). I was thinking of making it anyway since I was pressed for time and couldn’t come up with anything better. Who said birthday cakes have to have frosting anyway? Isn’t a flavorful icing preferable to a frosting that lacks flavor? I turned into Donna, the scientist again and experimented by whipping additional cream and adding a small amount to a small amount of the cannoli cream. It worked! Only THE best flavored frosting I’ve ever tasted (or made)! This is Brianna’s birthday cake. Process: cream butter and sugar, blend till light and fluffy. Add eggs one at a time and mix well. Add the vanilla and almond extracts. In a separate bowl add flour, baking powder and salt. Add the flour alternating with the milk to the creamed butter and sugar. Careful not to over mix. pour into 10 inch layer prepared pans and bake at 350 F for about 30-35 minutes. Cannoli Cream: 1 1/4 C ricotta cheese (drained), 4 oz. neusfchatel cheese, 1/2 C confectioners’ sugar, 1/2 t vanilla, pinch of cinnamon. Add all ingredients to a processor and blend. Fold in the whipped cream. Whipped Cream: 16 oz. whipping cream, 2 T confectioners’ sugar, 1 t vanilla. Mix all ingredients till light and fluffy. Slow mixer down to prevent over-mixing.